Biological and biomedical research are increasingly driven by experimental techniques that challenge our ability to analyse, process and extract meaningful knowledge from the underlying data. The impressive capabilities of next-generation sequencing technologies, together with novel and constantly evolving, distinct types of omics data technologies, have created an increasingly complex set of challenges for the growing fields of Bioinformatics and Computational Biology. The analysis of the datasets produced and their integration call for new algorithms and approaches from fields such as Databases, Statistics, Data Mining, Machine Learning, Optimization, Computer Science and Artificial Intelligence. Clearly, Biology is more and more a science of information and requires tools from the computational sciences. In the last few years, we have seen the rise of a new generation of interdisciplinary scientists with a strong background in the biological and computational sciences. In this context, the interaction of researchers from different scientific fields is, more than ever, of foremost importance in boosting the research efforts in the field and contributing to the education of a new generation of Bioinformatics scientists. 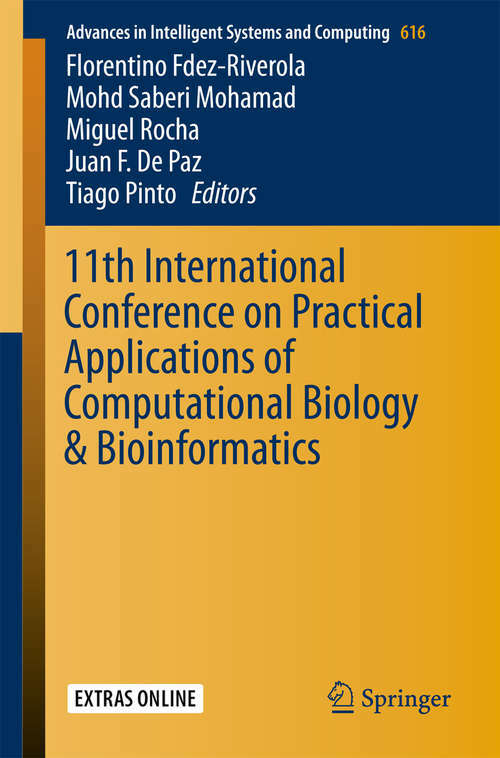 The PACBB'17 conference was intended to contribute to this effort and promote this fruitful interaction, with a technical program that included 39 papers spanning many different sub-fields in Bioinformatics and Computational Biology. Further, the conference promoted the interaction of scientists from diverse research groups and with a distinct background (computer scientists, mathematicians, biologists).